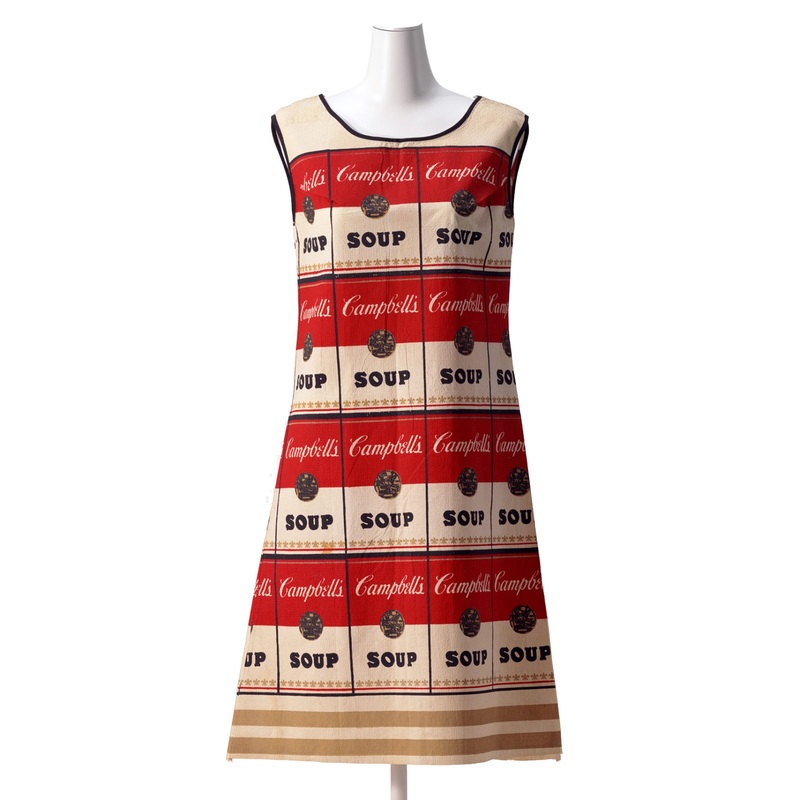 The classic Souper Dress (also known as the Campbell's Soup Dress) was inspired by Andy Warhol's Campbell's Soup Paintings, the central figure in pop art. With the Souper Dress, the Campbell’s company cashed in on Warholism; for two labels and a dollar they would send you this fabulous mod paper dress. The Souper Dress is a screenprint in colors on flame-resistant cotton fiber paper, created by the Campbell's Soup Company circa 1968. 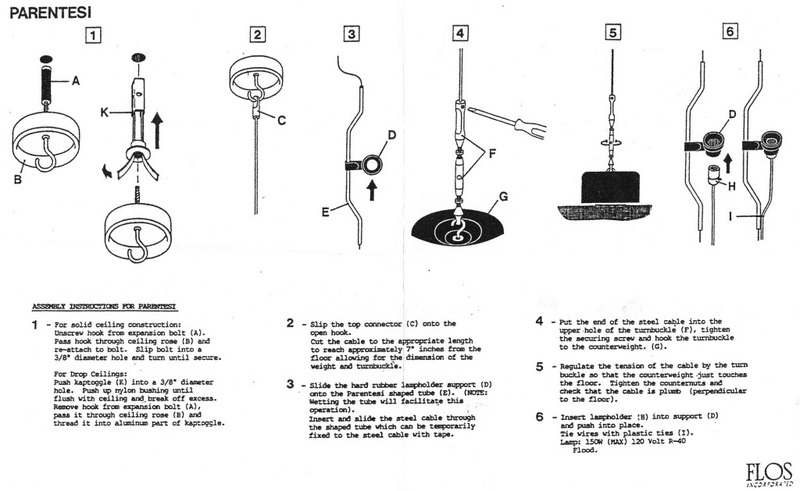 Labelled 'The Souper Dress' at the neck, from an edition of unknown size; the Souper Dress is often attributed to Andy Warhol; yet it's more a story of "life imitating art". 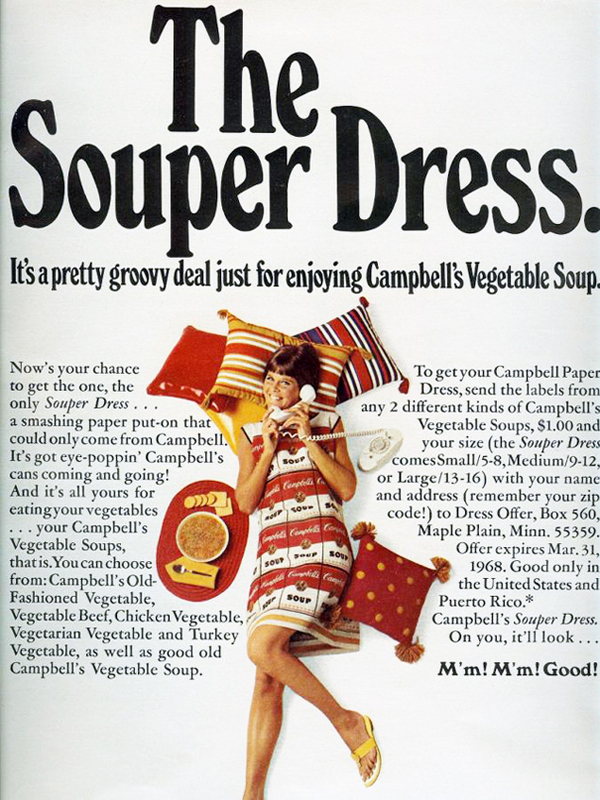 The Souper Dress is now worth several thousands of dollars for one with the original packaging.